Blending scholarly insight, wit and compassion in his teachings and interpersonal relations, Rabbi Lester Bronstein well represents Bet Am Shalom's communal personality. Since arriving at Bet Am Shalom in 1989 with his wife, Cantor Benjie Ellen Schiller, the rabbi has been a catalyst for our spiritual development and congregational growth. His searching intellect never overwhelms his ability “to connect,’’ creating an intellectual and haimishe backdrop for our congregational life. He takes personal joy in our s'machot, provides heartfelt warmth during moments of need and encourages our questions and participation. We invite guests to attend our services to observe his inspirational gifts. When Rabbi Bronstein stands “panim el panim’’ (face to face) with a Bar or Bat Mitzvah to explain the Biblical verse he has chosen for the honoree, for example, his down-to-earth encapsulation of the young teen’s talents, gifts and doubts adds a meaningful personal twist to the universal rite of passage that touches both the family and congregation. In addition to serving our diverse community, Rabbi Bronstein is a leader in local and national Jewish and civic circles. His inspirational qualities and those of his wife (and our cantor) Benjie Ellen Schiller were viewed worldwide when they represented Judaism in a televised multi-faith memorial service at New York's Riverside Church a few days after the attacks of September 11. Reconstructionist Judaism seeks to adapt traditional Jewish study and prayer to contemporary needs while encouraging serious encounters with ancient texts and rituals. Rabbi Bronstein supports this by encouraging critical questioning from adults and children in the search for Jewish spirituality as well as asking them to honor tradition through study and practice. The rabbi and his wife are members of Beged Kefet, a performance group dedicated to new Jewish spiritual compositions. The group's concert and recording proceeds go to philanthropic causes. 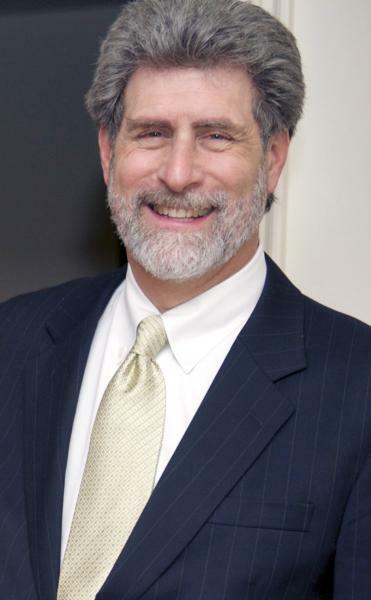 Rabbi Bronstein is a founding member of the Coalition for the Advancement of Jewish Education (CAJE), and has recorded Torah commentaries and prayer services for the Reform movement’s Torah Tapes series and the Reconstructionist movement's Kol Haneshamah home prayer book. He is an officer of the White Plains Religious Leaders Association and the New York Board of Rabbis, and is a past president of the Westchester Board of Rabbis and past chair of the Westchester UJA Rabbinic Roundtable. He serves on the board of the philanthropic group Myriam’s Dream. The rabbi is a board member of the Westchester Interfaith Clergy Network. A native of Texas, Rabbi Bronstein has a Bachelor's degree from Yale University and a Master's in Education from Boston University, where he also became a die-hard Red Sox fan. Before entering the rabbinate, he was Educational Director at Congregation Beth El in Sudbury, Massachusetts, working with Rabbi Lawrence Kushner. He was ordained at Hebrew Union College - Jewish Institute of Religion in New York. Before joining Bet Am Shalom, Rabbi Bronstein was Assistant Rabbi of Temple Shaaray Tefila in Manhattan. You can contact Rabbi Bronstein at rabbibronstein@betamshalom.org or 914-946-8851.